Tonight against the Spurs, he followed up his first-quarter takeover (where he outscored San Antonio by himself) with a game-closing explosion that was somehow even more impressive. The Rockets trailed by six with four minutes left. 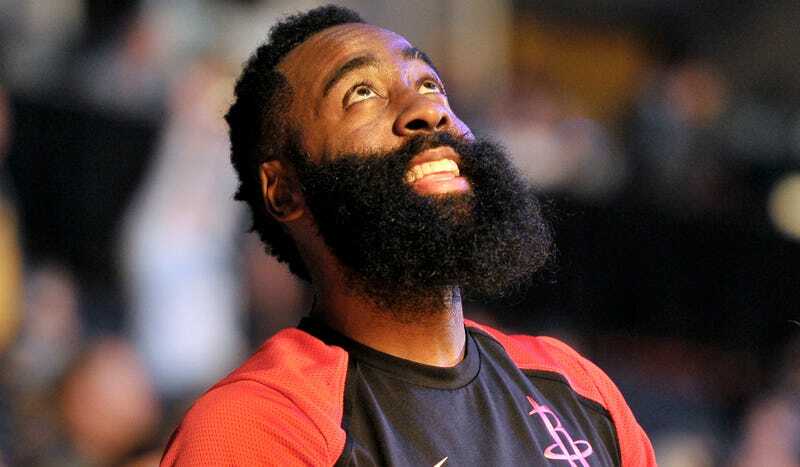 Two-and-a-half minutes later, they were coasting to a win thanks to a 13-point outburst, all from Harden. San Antonio threw aggressive double teams at Harden in the third and fourth quarters, but when it mattered most, he got loose. Check out these back-to-back-to-back threes that basically ended it.